An updated, repackaged edition of the bestselling divination tool and party favorite - ask a yes or no question, open the book, and discover your answer in the form of quotations from the world's most compelling books. If you're curious about whether you'll get that promotion or land that account, whether you should buy a new car or tell your mother-in-law what you really think of her cooking, you can expect superb guidance from the likes of William Shakespeare, Jane Austen, Henry James, and Charles Dickens. Featuring such pearls of wisdom as "To thine own self be true," "Keep up appearances whatever you do," and "Tread lightly," this entertaining and provocative book will provide hours of fun and fortune-telling, while helping readers brush up on their literary knowledge. 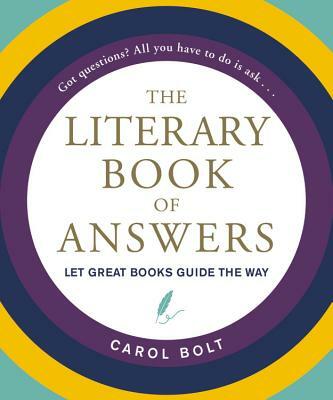 The perfect gift for questioners of all types and stripes, The Literary Book of Answers is for anyone who's got a burning question.